From West Side Story in 1957 to Road Show in 2008, the musicals of Stephen Sondheim and his collaborators have challenged the conventions of American musical theater and expanded the possibilities of what musical plays can do, how they work, and what they mean. Sondheim’s brilliant array of work, including such musicals as Company, Follies, Sweeney Todd, Sunday in the Park with George, and Into the Woods, has established him as the preeminent composer/lyricist of his, if not all, time. Stephen Sondheim and the Reinvention of the American Musical places Sondheim’s work in two contexts: the exhaustion of the musical play and the postmodernism that, by the 1960s, deeply influenced all the American arts. Sondheim’s musicals are central to the transition from the Rodgers and Hammerstein-style musical that had dominated Broadway stages for twenty years to a new postmodern musical. This new style reclaimed many of the self-aware, performative techniques of the 1930s musical comedy to develop its themes of the breakdown of narrative knowledge and the fragmentation of identity. In his most recent work, Sondheim, who was famously mentored by Oscar Hammerstein II, stretches toward a twenty-first-century musical that seeks to break out of the self-referring web of language. 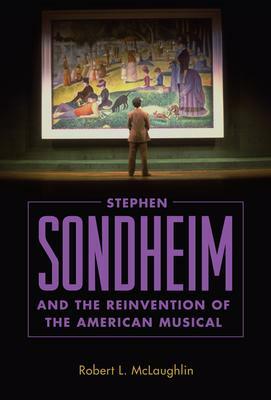 Stephen Sondheim and the Reinvention of the American Musical offers close readings of all of Sondheim’s musicals and finds in them critiques of the operation of power, questioning of conventional systems of knowledge, and explorations of contemporary identity.